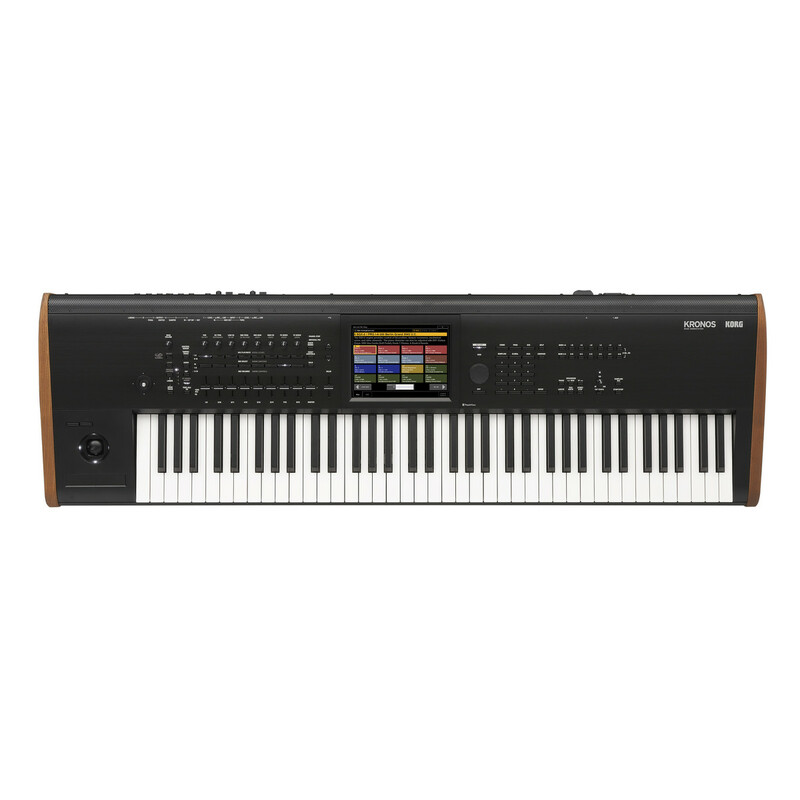 Euphonycart presents Korg Microsampler MS1 Synthesizer. 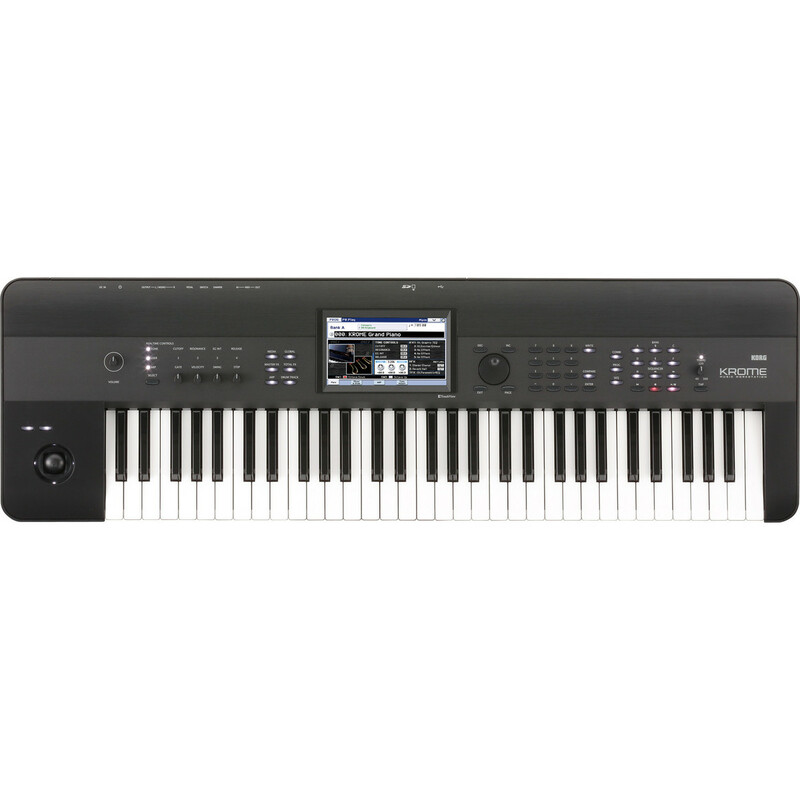 The easy-to-use Korg microSAMPLER keyboard is fun to play and feature packed! 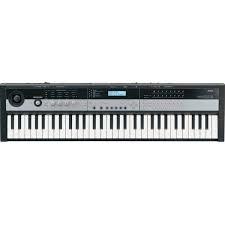 Use the line inputs or the included microphone to put sounds into the microSAMPLER, then use its expressive-feeling 37-key keyboard to trigger samples or play them musically. This amazing little sampler includes 21 outstanding onboard effects, a pattern sequencer, time-stretch capability, and selectable sample rates (go from pristine to lo-fi instantly). You also get editor/librarian software, so you can manage your sample library and back up files via USB. Make sampling fun, easy, and creative, with the microSAMPLER! 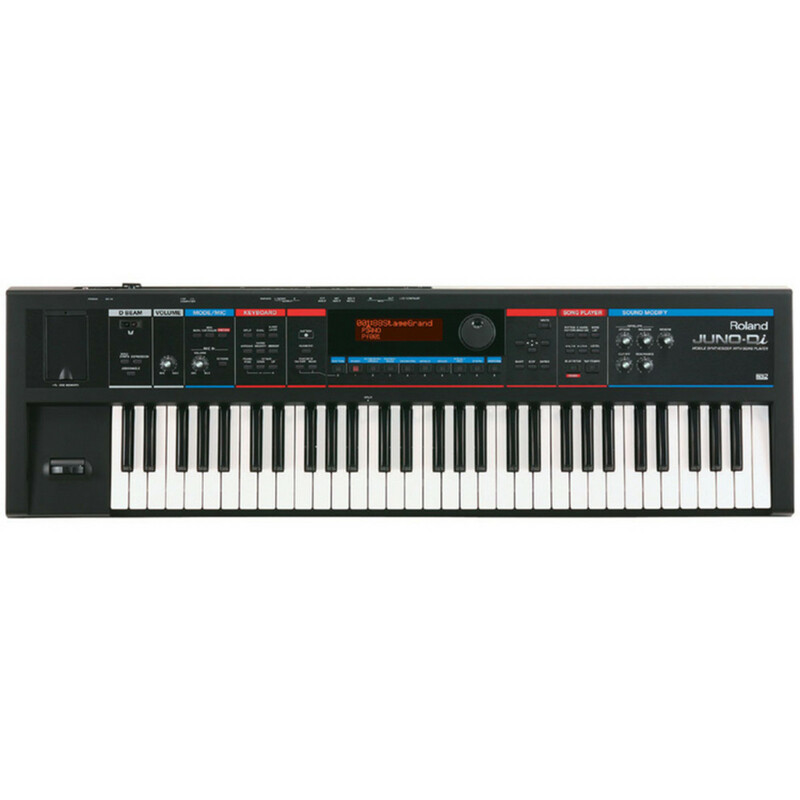 Euophonycart presents Korg Microstation MW1 Synthesizer. 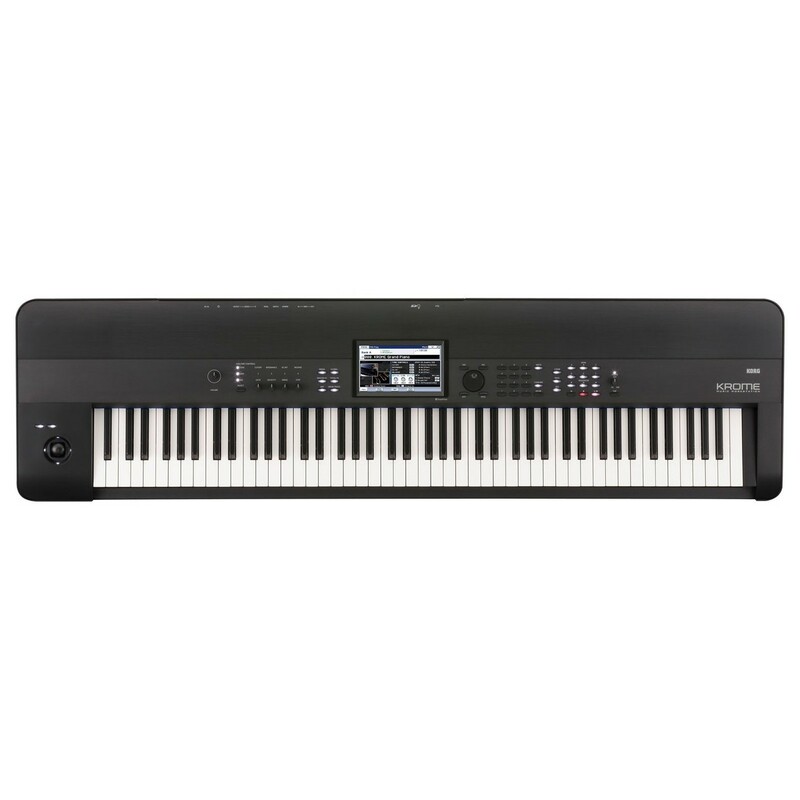 MicroStation offers unprecedented portability, the stunning sound of Korg’s EDS-i synth engine (M3, M50), dual arpeggiators, and phenomenal effects; all the tools you would expect in a keyboard/workstation housed in a smaller – and extremely affordable – package. Whether performing or composing, the on-board sequencer can be anything from an extra set of hands or a powerful drum machine up to a full-blown MIDI production suite. 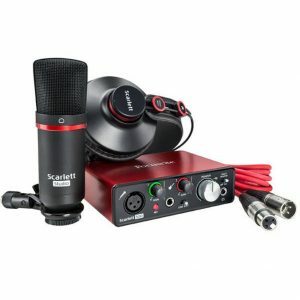 Loop Recording, Grid Sequencing, Song Templates, and One-Step recording features make it easy for anyone to achieve professional results. 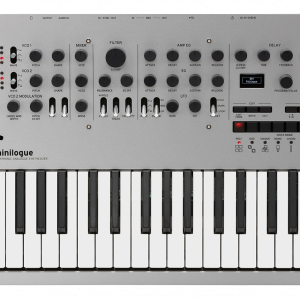 Euphonycart presents Korg Minilogue Synthesizer. 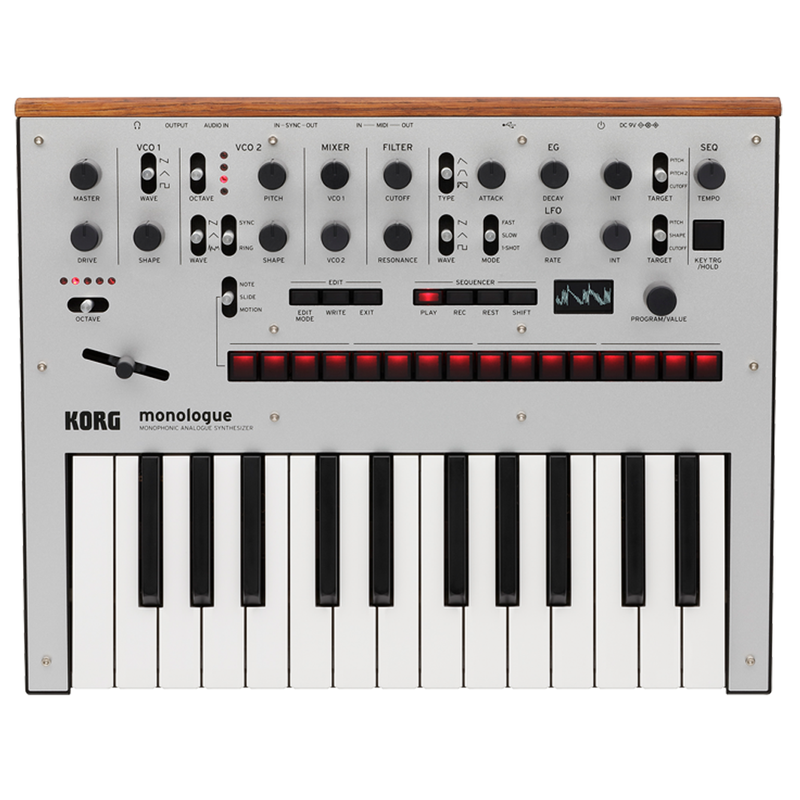 Fully programmable, analog synthesis for all players; monologue is the next-generation monophonic synthesizer that shares the spirit of the acclaimed minilogue, with a completely new voice and powerful new features.The monologue is a 25-key, fully programmable monophonic analog synthesizer with a voice all its own. While sharing its sleek layout, knob-per-function workflow and high-quality construction with the best-selling minilogue, monologue is a truly unique new synth for all types of musicians; featuring new voicing and sound sculpting abilities – at an amazing price. Euphonycart presents Korg Monologue Synthesizer Gold. 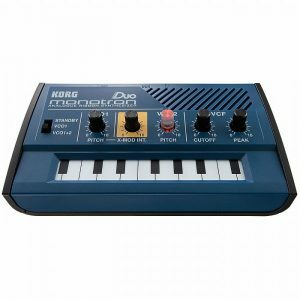 The Korg monologue puts rich, vibrant analog synthesis in your hands for an amazing price. Its engine is similar to the acclaimed minilogue analog synthesizer, with updated voicing and a 2-pole VCF that’s optimized for monophonic bass and lead tones. 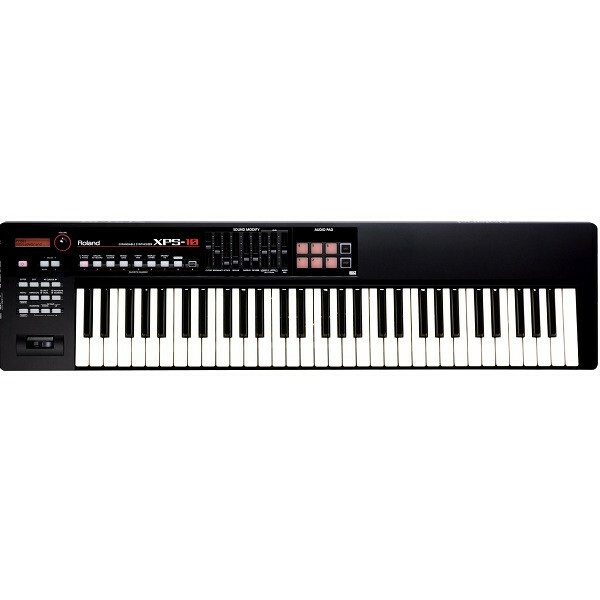 The powerful 16-step sequencer is perfect for creating classic acid-style basslines and more, and you can transpose your sequence just by pressing any key on the 25-key mini-keybed. Factor in micro tuning, per-step parameter lock for the sequencer, and the ability to save 100 programs — the Korg monologue analog synthesizer is an impressive monosynth indeed. 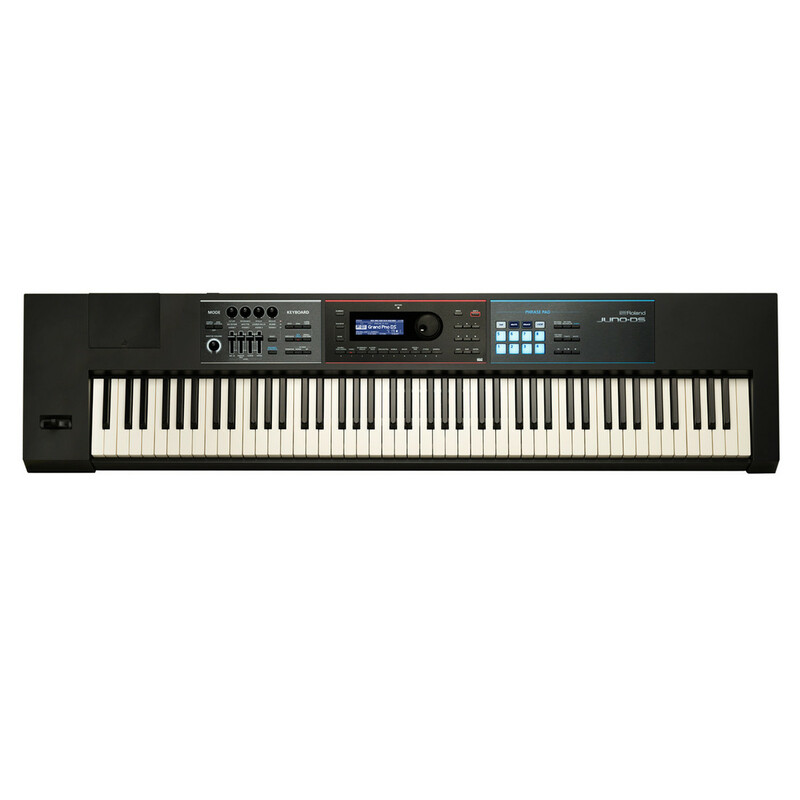 Euphonycart presents Korg Monologue Synthesizer . The Korg monologue puts rich, vibrant analog synthesis in your hands for an amazing price. Its engine is similar to the acclaimed minilogue analog synthesizer, with updated voicing and a 2-pole VCF that’s optimized for monophonic bass and lead tones. 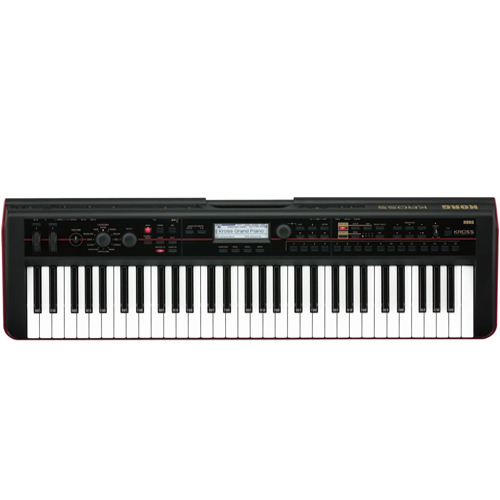 The powerful 16-step sequencer is perfect for creating classic acid-style basslines and more, and you can transpose your sequence just by pressing any key on the 25-key mini-keybed. Factor in micro tuning, per-step parameter lock for the sequencer, and the ability to save 100 programs — the Korg monologue analog synthesizer is an impressive monosynth indeed. Euphonycart presents Korg Monotribe Synthesizer. In a world seemingly ruled by digital, Korg created an analog sensation with the palm-sized monotron Analogue Ribbon Synthesizer. Today, Korg’s next analog innovation came in the form of the monotribe Analog Ribbon Station; a new form of synthesizer that packs an amazing array of features and technology. -monotribe shares the monotron’s analog DNA, yet quickly delves deeper into the rich, organic, and often chaotic world of analog synthesis. In addition to analog synthesis, monotribe brings together intuitive ease of use and a three-part discrete analog rhythm section, plus the proven appeal of Electribe-style step sequencing. Complete with built-in speakers and battery power, monotribe is self-contained and highly portable, able to deliver your ideas with style and personality. Euphonycart presents Korg Monotron Delay Synthesizer. The Korg monotron DELAY gives you fat, warm analog synth sounds bathed in outrageous Space Delay. Like Korg’s classic monotron, monotron DELAY gives you an oscillator, filter, and LFO – but adds a seriously twisted Space Delay that lets you unleash swooping, cosmic sounds that’ll put you (and your audiences, if you’re a DJ) on another planet. Dial up pitch changes by varying delay time – just like good ol’ tape slap. You can even apply the filter or delay to external sounds via the aux input! Pilot yourself to distant galaxies with Korg’s monotron DELAY. 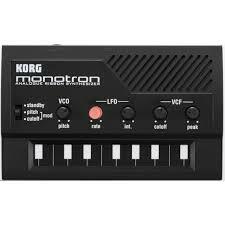 Euphonycart presents Korg Monotron Synthesizer. The true analog monotron synthesizer fits in your pocket and makes it possible for you to play anytime, anyplace. Although it is small enough to hold in one hand, the Korg monotron synth delivers enormous, dazzling sounds. 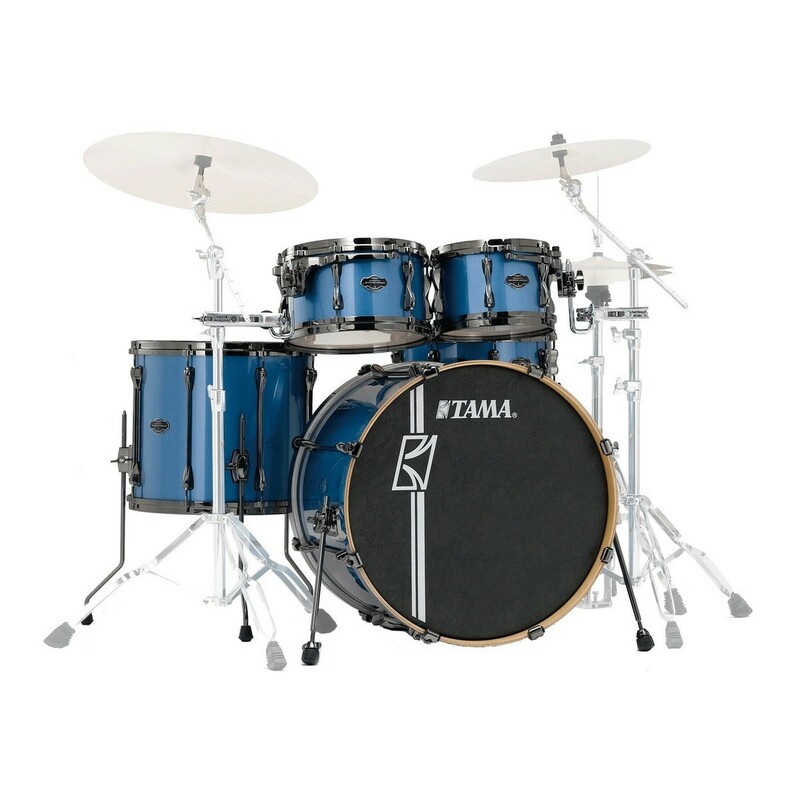 The controls have been streamlined for ease of use”concentrating on the most important sound parameters, the panel contains only five knobs and one switch. With this level of simplicity, now anyone can easily enjoy the world of analog synthesizers. 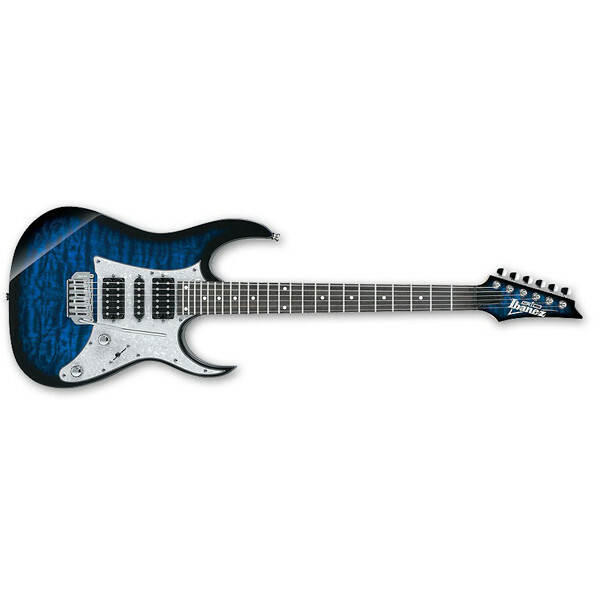 It’s simply a blast to play. 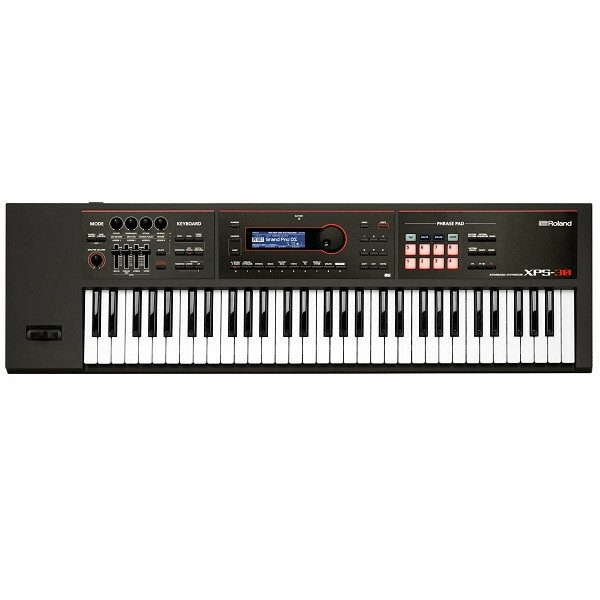 Euphonycart presents Korg Monotrone Duo Synthesizer. Korg’s monotron DUO analog synthesizer is part of Korg’s immensely popular mono-line of pint-sized analog synths – they sound huge yet fit in your pocket. The no-frills design gives you two voltage-controlled oscillators (hence the name DUO) and the same voltage-controller filter circuit from the revered Korg MS10 and MS20 synths. You get the thick, syrupy sound only possible with an analog circuit with the Korg monotron DUO. Euphonycart presents Korg MS 20 Kit Synthesizer. Creating an instrument with your own hands is part of the true enjoyment of this analog synthesizer. The MS-20 Kit lets you obtain a real, full-sized MS-20 by assembling it yourself. It goes without saying that, just like the MS-20 mini released in January 2013, the engineers who developed the original MS-20 have overseen this project – ensuring that its historic sound is reproduced with complete fidelity. 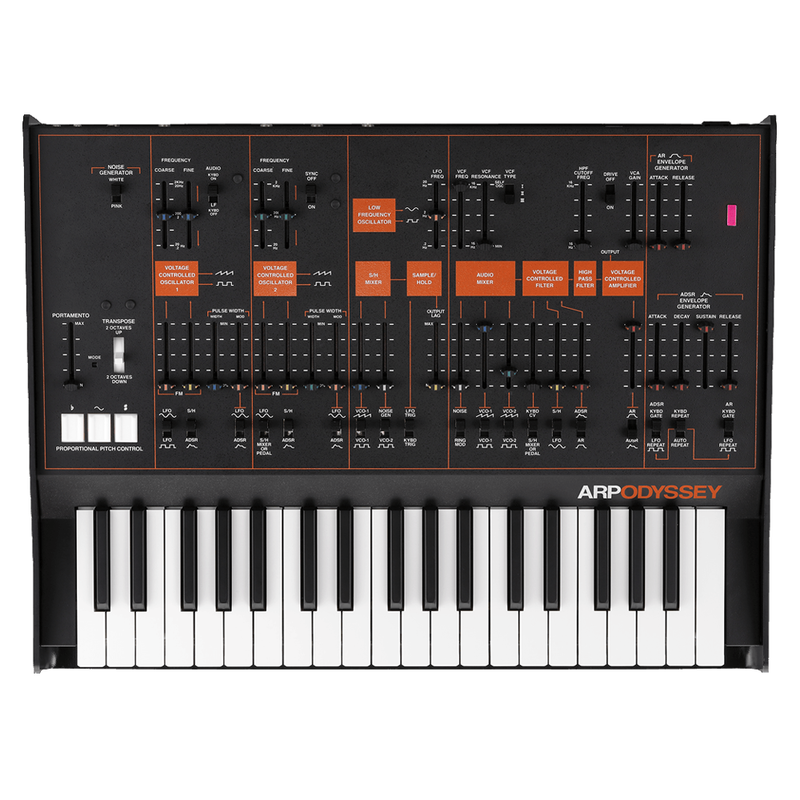 In addition, the MS-20 Kit provides the filters from both the early and late versions of this classic instrument and it even allows you to switch between them. Euphonycart presents Korg MS 20 MINI Analog Synthesizer WM. Back and smaller than ever, Korg’s MS-20 Mini analog synthesizer revives the legendary MS-20 synth in all of its glory, but at 86% of the original size. This is no copycat knockoff either — the MS-20 Mini is nearly identical to the original, with the same analog oscillators, first-generation filters, and a VCA that’s been tweaked to reduce noise. 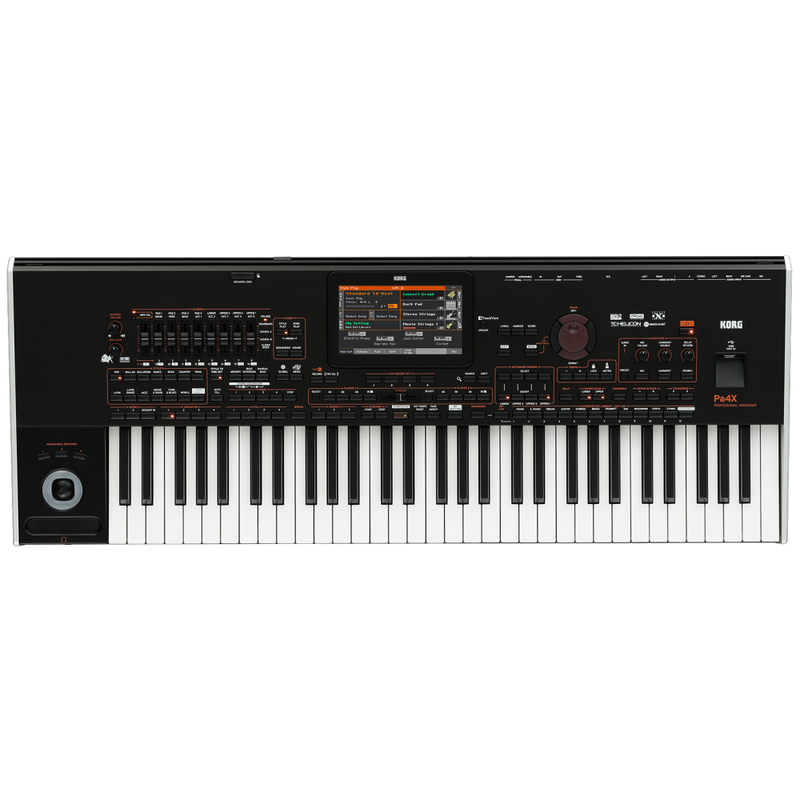 You’ll also find cool new additions onboard the Korg MS-20 Mini, including MIDI in and USB connectivity. Euphonycart presents Korg Prologue 16 Analog Synthesizer. The Korg Prologue may be the modern analog polysynth you’ve been waiting for. Featuring 61 full-size keys and 16 voices, plus Split, Layer, and Crossfade modes, Prologue is primed for creating complex layers of sounds. Each voice boasts two analog oscillators plus a digital oscillator offering FM and wavetable synthesis. And with the ability to create your own oscillators and effects, Prologue is one of the most customizable hardware synths we’ve ever seen at Sweetwater. Factor in four different voice modes, an arpeggiator, a dual effects section, and 500 program locations for saving your sonic creations, the Korg Prologue is an undeniably powerful synth for stage and studio. Euphonycart presents Korg Prologue 8 Analog Synthesizer. The Korg Prologue may be the modern analog polysynth you’ve been waiting for. Featuring 49 full-size keys and eight voices, plus Split, Layer, and Crossfade modes, Prologue is primed for creating complex layers of sounds. Each voice boasts two analog oscillators plus a digital oscillator offering FM and wavetable synthesis. And with the ability to create your own oscillators and effects, Prologue is one of the most customizable hardware synths we’ve ever seen at Sweetwater. Factor in four different voice modes, an arpeggiator, a dual effects section, and 500 program locations for saving your sonic creations, the Korg Prologue is an undeniably powerful synth for stage and studio. Euphonycart presents Korg Volca Mix Analogue Performance. Fans of Korg’s Volca modules have been asking for a Volca mixer for years, and the Korg Volca Mix packs as much innovation as the modules do. 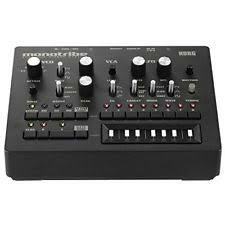 It powers up to three Volcas, has an external effects send, and offers impressive performance features. Each of the three channels (two mono and one stereo) offer a low-/high-cut filter, send control, a mute button, and a channel fader. And with the ability to sync to your other Volca modules to control tempo, the Korg Volca Mix offers a ton of creative performance potential. Perfect for gigging musicians and hobbyists alike, the XPS-10 delivers respected Roland sound and features at a very attractive price. This sleek, performance-ready synth is equipped with over 1500 sounds from the Roland library, including versatile modern tones from the JUNO-Di, classics from the D-50 and XP series, and many others. 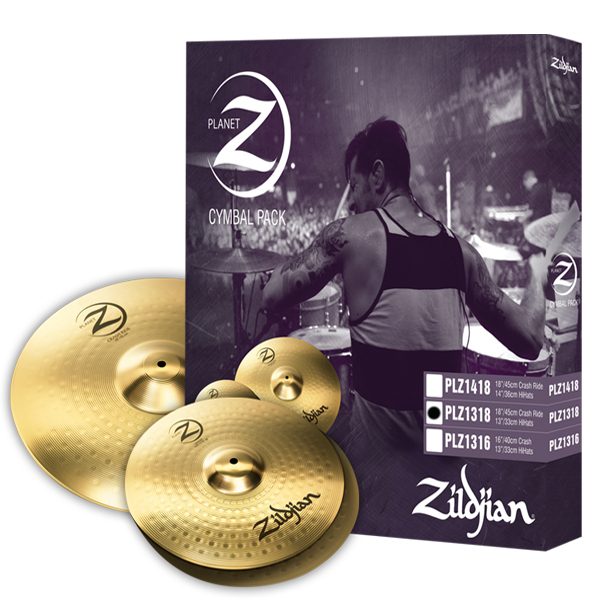 A wide range of ethnic instrument sounds are on board as well, and it’s even possible to import your own custom sounds via USB memory and assign them to the keyboard! The XPS-30 starts with the great feature set of the popular XPS-10 and adds many powerful enhancements that performing players will love. 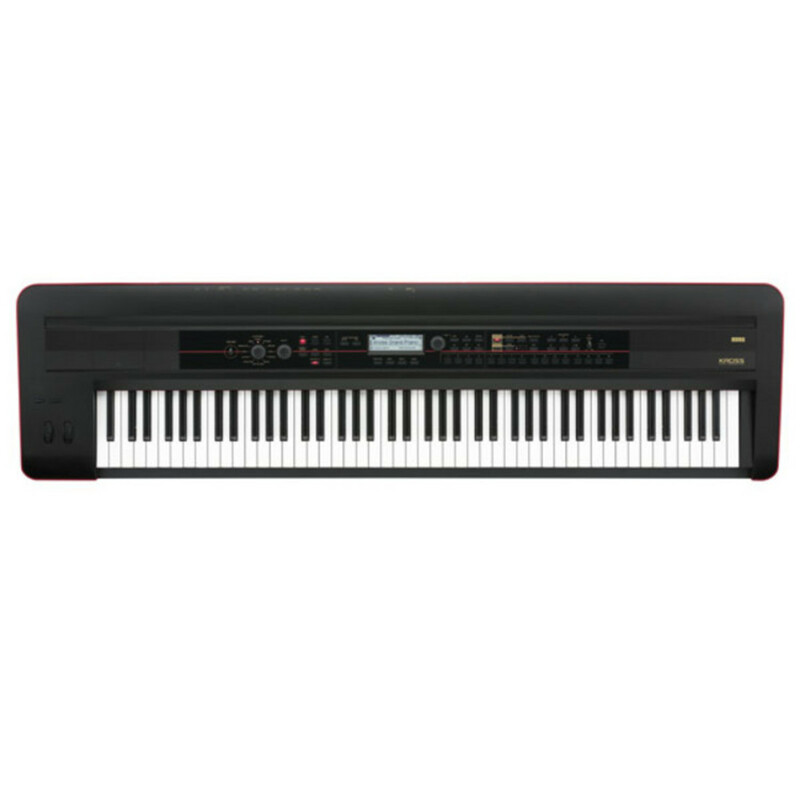 Stage essentials like acoustic and electric piano sound even better, and the internal waveform set can be easily expanded with free sound collections from Roland’s Axial website. 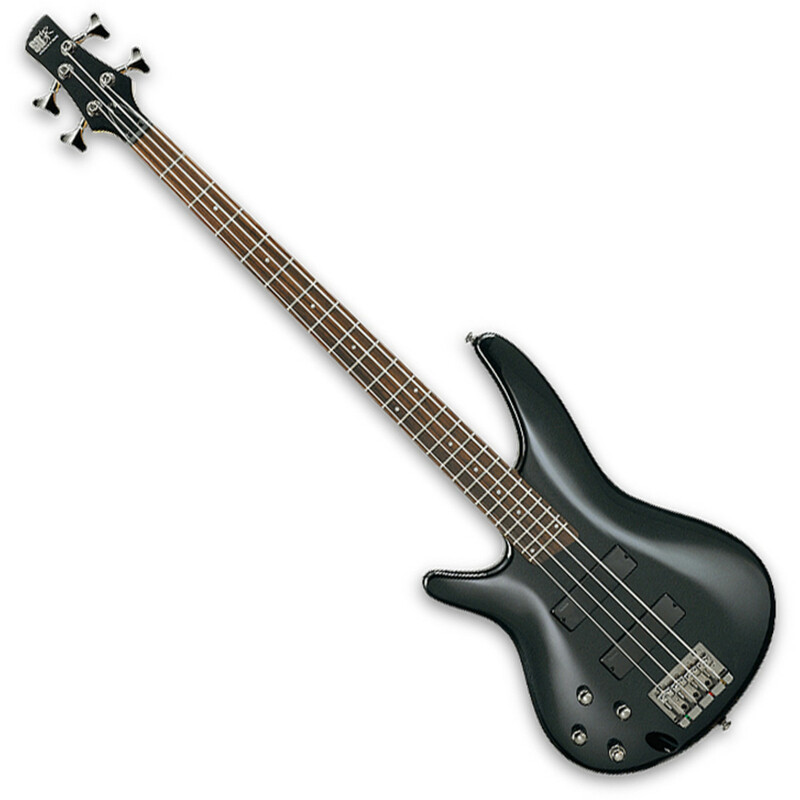 The selection of regional instrument sounds has been increased as well, and more user samples can be imported thanks to the doubled onboard memory capacity.